Victoria’s Centennial Square will soon be transformed into more than just a Kaleidoscope of fun, thrills and joy! Not only is this seminal theatre production company hosting this theatre festival in the heart of downtown, but also Puente Theatre, Outpost 31 and The Purple Pirate will participate. 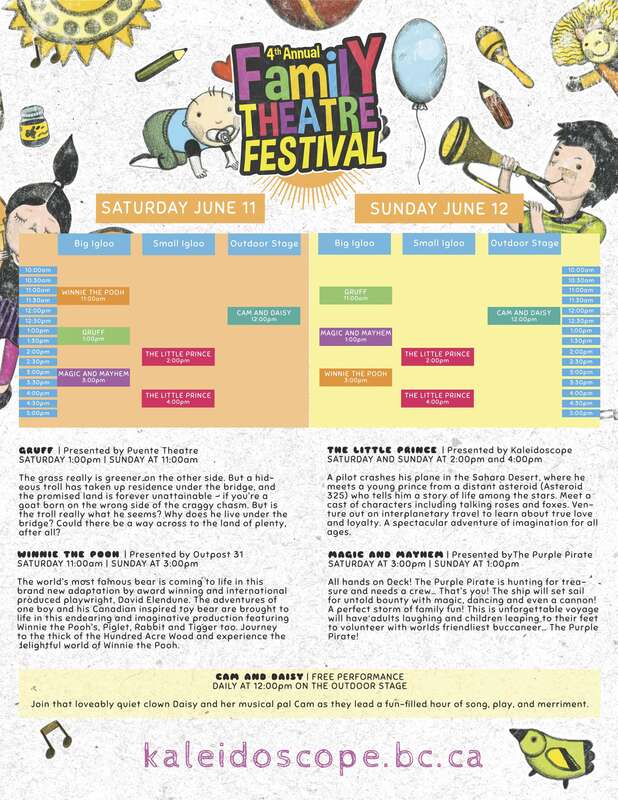 Together, they will be offering productions which includes The Little Prince, Gruff (based on the Norwegian fairy tale “Three Billy Goats Gruff”), Winnie the Pooh and Magic & Mayhem being displayed by these respective performance groups. There is more than one show, so families can check their whimsy in nearly any time of the day from 11am to 5pm. Music by Ride the Cyclone creator Brooke Maxwell will be part of the show. 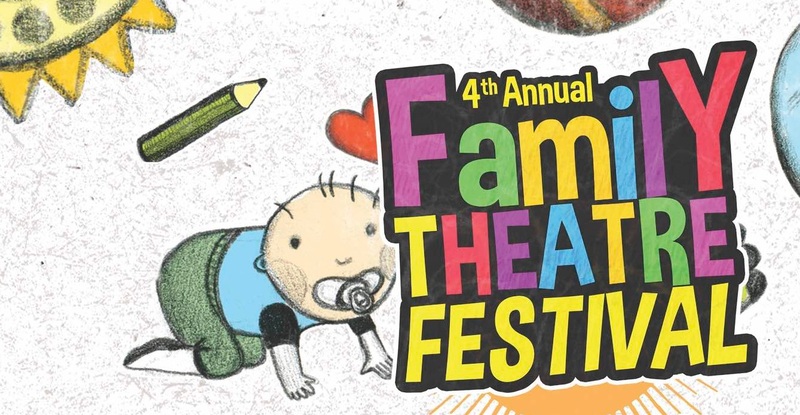 The 4th Annual Kaleidoscope Family Theatre Festival takes place June 11-12 and it will be inviting audiences to free their imagination and celebrate the best in what the performing arts can offer for young people. For two full days, audiences will enjoy unique theatrical experiences alongside free performances from beloved Victoria entertainers Cam and Daisy. The Festival’s Activity Village makes it easy for the whole family to be creatively adventurous together with such activities as mask making, face painting, dress up booth, and more. The festival marks the first official use of Kaleidoscope’s Igloo theatres. The largest of the two igloos measures 15.2 metres wide and 7.3 metres high will feature three productions seating 150 audience members, with the smallest of the igloos housing Kaleidoscope’s The Little Prince in an intimate 50 seats performance. The igloo’s are inflated through continued forced air and will create a whimsical theatre environment in Centennial Square. This entry was posted in Annual Events, Community Board, News, Theatre, Your Island Guide and tagged British Columbia, Canada, Centennial Square, Kaleidoscope Theatre, Outpost 31, Puente Theatre, Roderick Glanville, The Purple Pirate, Vancouver Island, Victoria. Bookmark the permalink.